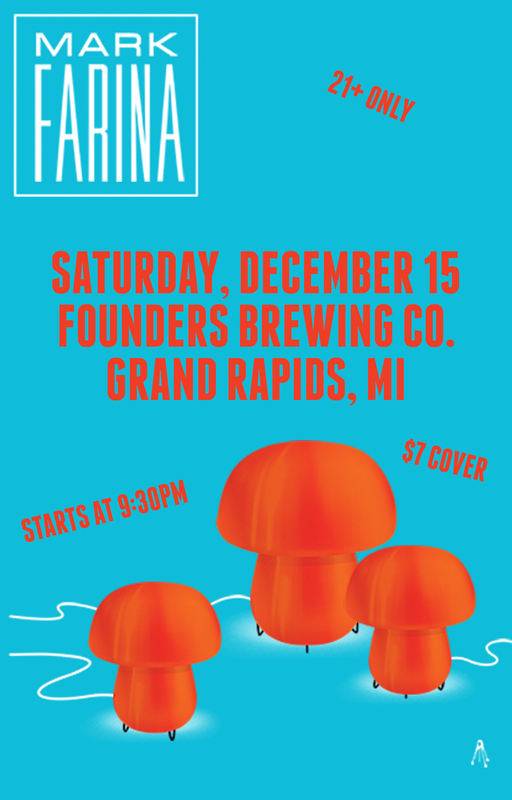 Mark Farina - Founders Brewing Co.
“A good set has the power to change your entire life.” These words embody the meaning of music for Faren Strnad. Hailing from Grand Rapids, Michigan, she is influenced by the nearby sounds of Detroit – and beyond. A diverse range of art and culture has informed her sensibility as an international DJ, and acumen as Label Manager for NV’D Records. In addition to headlining her own shows, she has played alongside a vast array of esteemed talent including Billy Kenny, Mija, Will Clarke, Desert Hearts, Walker & Royce, Christian Martin, Ardalan, Matthew Dear, Lenny Kiser, GAWP, Bot, Golf Clap, Wax Motif, Kill Paris, Codes, Option 4, Huxley, Josh Butler, Sly Turner and Myles Sergé to name a few. The community has grown Faren, and she works tirelessly to cultivate the same inspiration and joy that she feels through music within the hearts and minds of others.